Starring Sam Riley (Control) and Andrea Riseborough (Made In Dagenham), this new take on Graham Greene’s pre-war literary classic moves the gangster action to the mods and rockers era of 1964. With added support from Andy Serkis, Helen Mirren and John Hurt. 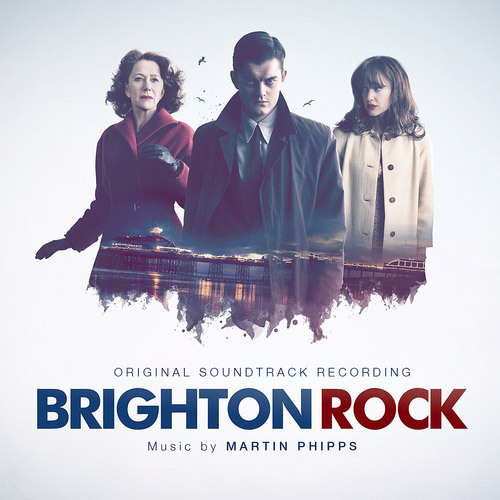 Martin Phipps is one of Britain’s most talented and innovative TV and film composers working today, with the impeccable pedigree of being Benjamin Britten’s godson. He has won the prestigious Ivor Novello Award twice for Elizabeth – The Virgin Queen and Oliver Twist and recent film scores include Harry Brown and Endgame. This release also features the beautiful Richard Hawley ballad, written and performed by himself, There’s A Storm A’Comin’, which plays over the end credits.